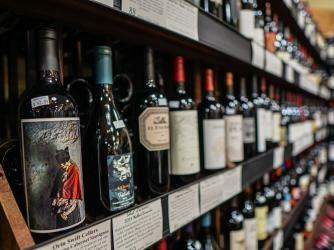 The Green Turtle Market is an original concept in fine foods and wine. Founded in 2000 by Tim Dwight and family, The Green Turtle's goal is to bring customers the finest gourmet fare there is to offer. With gourmet-to-go food, fresh meats & seafood, deli, desserts, and 800+ wine in stock, it's impossible to resist. Aside from the market, The Grapevine Cafe serves lunch from 11:30 to 2:00 Mon-Sat. Come enjoy the rich culinary experience, personalized service, and gourmet delights that the Green Turtle Market & Grapevine Cafe has to offer!